The Israeli and Russian militaries on Thursday completed a series of meetings aimed at improving relations between the two armed forces, following the downing of a Russian spy plane by Syrian air defenses, which Moscow blames on Israel. 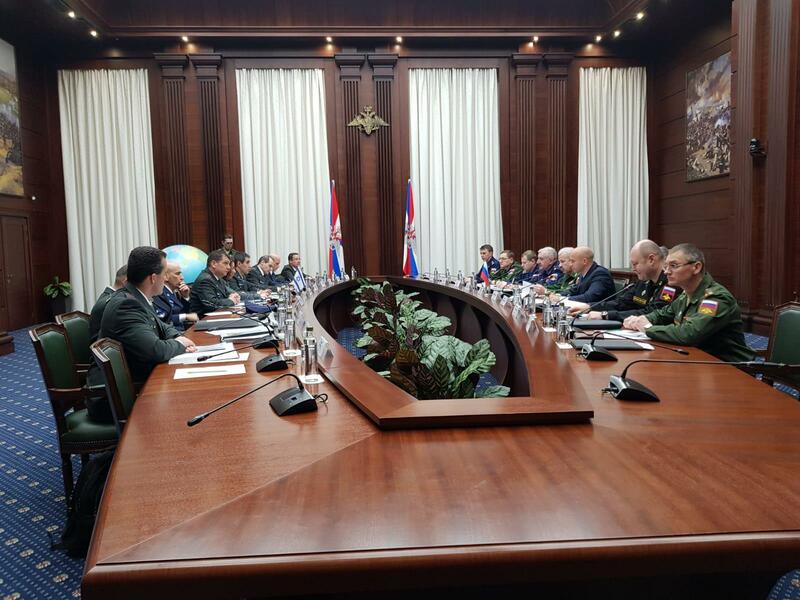 A delegation of senior Russian military officers visited Israel for the discussions, which were led on the Israeli side by the head of the IDF’s Operational Division, Brig. Gen. Yaniv Assur, who previously served as commander of the IDF division that defends the Syrian border. “The delegations reached understandings and agreed on continued collaboration,” the IDF said in a statement. Jerusalem and Moscow maintain a so-called “deconfliction mechanism,” which is meant to ensure that there are no accidental clashes between the two militaries in Syria, as the Russian army supports Syrian dictator Bashar Assad and Israel conducts airstrikes against Iranian and Hezbollah targets in the country. Following the downing of the Russian spy plane in September, those coordination efforts appeared to be in peril, as Moscow publicly pilloried the Israeli military, accusing Israeli Air Force pilots of deliberately putting the Russian aircraft in harm’s way during their strikes on Iranian targets in Syria. 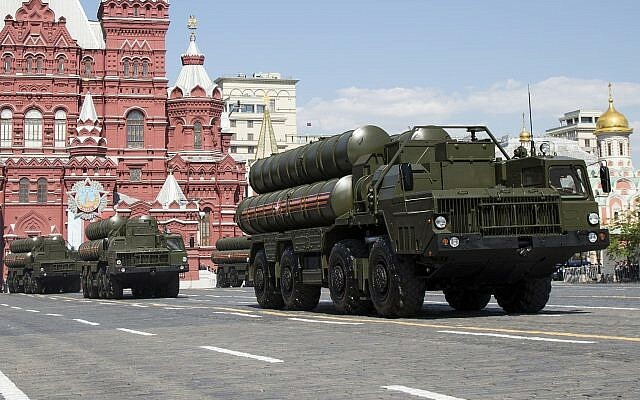 Russia also provided advanced S-300 air defense systems to Syria, something it had previously refrained from doing at Israel’s behest. 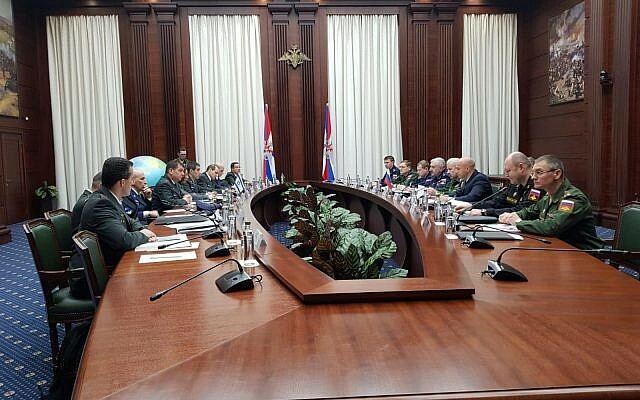 After the Russian spy plane was shot down, a senior Israeli military delegation visited Moscow to improve relations. Prime Minister Benjamin Netanyahu has also spoken on the matter with Russian President Vladmir Putin. Israel has repeatedly rejected Russia’s claims that Israeli fighter pilots took cover behind the Russian plane, putting it in the path of an incoming Syrian S-200 anti-aircraft missile. All 15 Russian crew members on board the plane were killed in the incident. Although Putin initially told reporters that the incident was due to a “chain of tragic accidental circumstances,” the Russian defense ministry later declared that Israel was responsible, saying the Israeli Air Force jets used the Russian plane as cover. Israel has repeatedly said it will not allow Iran, or its Shiite proxies, to establish a permanent presence in post-war Syria. It has launched numerous attacks on targets it says are a threat to its security.